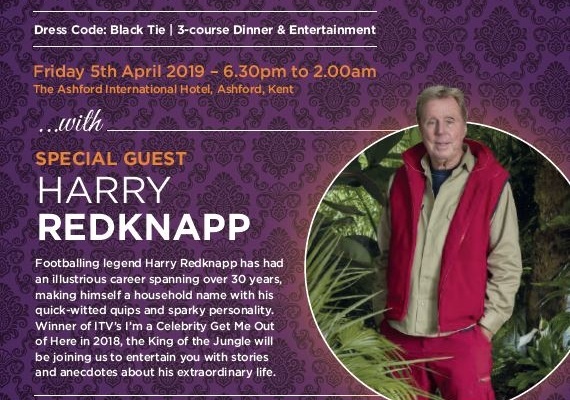 Enjoy a 3-course meal, drinks and fantastic entertainment on Friday 5th April at the International Hotel in Ashford, Kent. 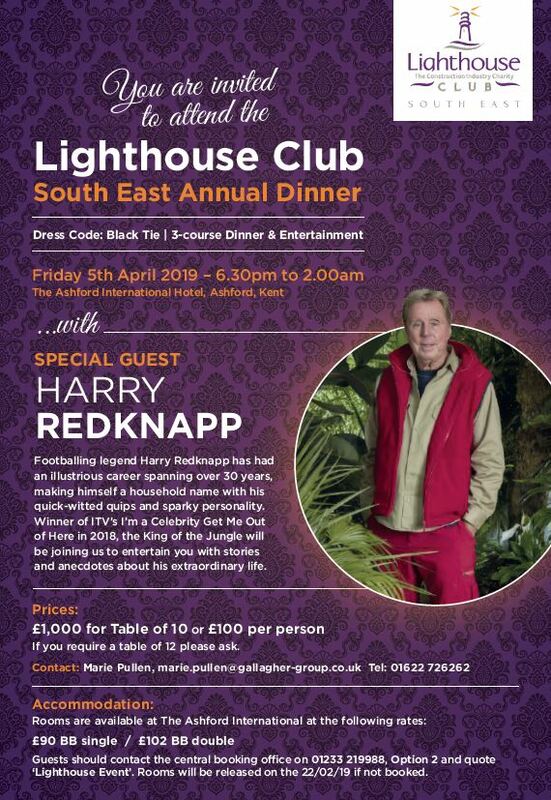 We’re pleased to welcome Harry Redknapp as our very special guest and after dinner speaker, with the brilliant Adger Brown as MC and auctioneer. We have planned a fantastic silent and live auction to raise money for our construction workforce in need.